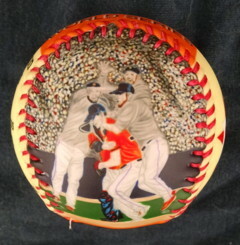 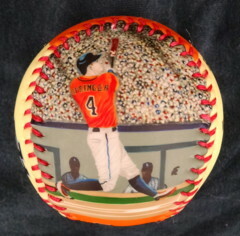 This Baseball Treasures "Houston Astros 2017 World Series" Baseball features my original paintings. 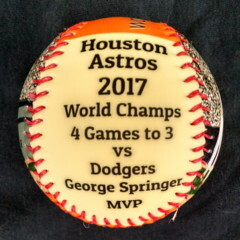 Side one has my painting of the Astros celebration after winning their first World Series against the Dodgers.. Click here for a closer look. 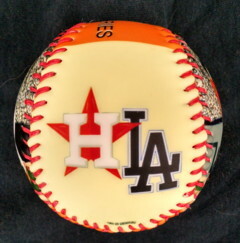 Side three has my painting of the Astros and Dodgers logos. 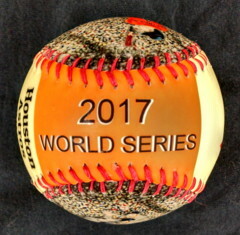 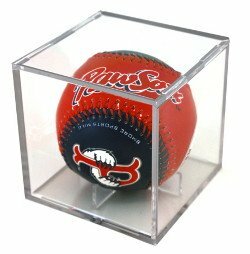 Side five, which is the top of the baseball, has 2017 WORLD SERIES. 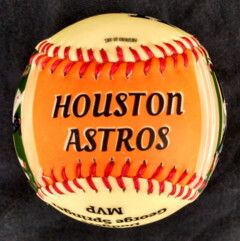 The bottom of the baseball has "HOUSTON ASTROS".